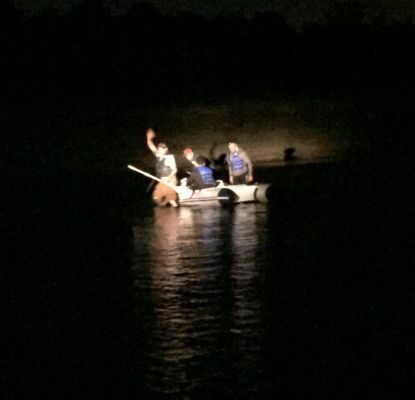 Four men had to be rescued Thursday night after they went fishing in a 10-foot inflatable raft that drifted out into the Long Island Sound while a small craft advisory was in effect, Suffolk County police said. The four were taken aboard the marine unit and the crew transported them — and their raft — back to Sunken Meadow. Police said all four men were wearing life vests. No one was injured.